Mindfulness and Compassion. Understanding trauma in young people. Depression: When your teenager sings the blues? It has been said that one of the reasons that teenagers in the western world struggle, is because there are no clear rites of passage to mark their transition from childhood to adult responsibilities. 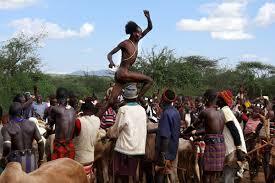 No cattle jumping ceremonies, no circumcision rituals, no going walkabout. Instead, there seems to have been the almost random selection of a particular birthday to mark the start of adulthood. The age at which this happens has changed over the years, from celebrating the twenty-first birthday in my parents’ day when we were given the key to the door, to the eighteenth birthday in my youth – where I was among the first group of 18 year olds able to vote in Britain. At the moment there is talk of reducing this age of transition even further to sixteen. One of the reasons for this long period of transition is the long period of education and training necessary for young people to learn all the knowledge, and skills, required to function in the modern world. This has become necessary because of the move away from a traditional, predominantly rural, hand-made world – one where there were clear boundaries between child and adult – to the modern industrial and digital age, where adolescence has become a long, drawn out affair, stuck in a twilight zone between the two. In a world where many of the old certainties have gone, young people are struggling to develop a strong sense of identity and to grow to maturity in a world of rapid change. A world where technologies become obsolete almost as soon as they are introduced. Most seem to cope well with this period of adolescent development, but a sizeable minority struggle, threatening to drown in this stormy sea of change and uncertainty. It is this group of young people who are at the highest risk of developing a depressive syndrome, with all the problems that this can bring to their future emotional, social, and personal development. It is this group who would benefit from extra support and help in negotiating the transitional process. How can you tell if your child is one of those who is struggling with depression and might benefit from some extra help and guidance along the way? The difference between a normal degree of emotional upset and what makes up a problem is usually pretty clear. However, it can be much harder to detect when the situation has started to develop into something more significant. This is because it can be difficult to pick up the early warning signs that a problem might be on the horizon. So, what are the indications that our child might be starting to struggle? While the symptoms are often seen in young people who are depressed, they do not always signify that a depressive disorder is present. Should they be present for prolonged periods or be particularly strong then they should be seen as indicators that an assessment by a mental health professional is indicated. Frequent crying, complaints of sadness and tearfulness. This can sometimes be seen in a change of dress style to darker colours, perhaps in writing poetry with morbid themes. Musical tastes may change to songs and bands with more nihilistic themes. Some may cry for no clear reason. Hopelessness. When they struggle they may see life as not worth living, and see no point in looking after themselves, changing clothes, or bothering to shower. They may express pessimistic ideas about change and their future. Some young people seem able to hold things together for school or socially, only to retire into their teen caves to brood as soon as they return home. Loss of interest in their usual activities and loss of enjoyment in those activities. This can be seen in dropping out of clubs or other groups they usually enjoy, giving up sports, or other activities, that they are usually good at. Depressed teens do not seem to be able to see the fun in things anymore. Loss of energy, persistent boredom. This reflects a lack of motivation, and it is seen as a change in behaviour, starting to miss classes or avoiding school altogether. There may be a gradual fall in grades, which relfects their poor concentration and slowed up thinking. Social isolation and poor communication with friends and family. There may be an increasing loss of connection to family and friends. Family gatherings and events may be avoided. Rather than spending time with their friends, they may start to spend more time alone, doing little. They may not share their feelings, believing that they are alone in the world, and that no-one cares about them. They may lose interest in social relationships, and might stop calling their friends or going out to meet others. Low self-esteem and guilt. Teenagers are quite sensitive anyway, and depressed ones often blame themselves for events outside their control. They can feel a complete and utter failure, and express negative views about themselves and their abilities. They somehow come to believe that they are not good enough, and what might seem to be minor setbacks, trigger major emotional reactions. This can lead to a greatly increased sensitivity to rejection. Teens are often more irritable than sad. This is often seen in becoming much more snappy with their families, making critical responses, becoming sarcastic or even abusive. It is almost as though they wish to reject their families before they get rejected themselves. Significant changes in eating habits and sleeping may be present. They may stop eating as they often lose their appetite, or develop a craving for carbohydrates and “comfort” eat. Sleep problems may be seen as excessive sleepiness during the day, or as late night TV watching, to occupy themselves when they are lying awake, in order to avoid ruminating on their problems. They may start to talk about running away from home or attempt to do so. This is very often a significant sign that something is wrong and can be one of the first things that many parents see to warn them of a problem. Drug and alcohol use can occur as a way to “self medicate” to help change how they feel. Although this might help in the short-term, continuing use can lead to a worsening in their difficulties, and may even induce psychotic symptoms. Self injury, either through cutting, burning, increased risk taking or actually putting themselves in danger. This kind of behaviour is often seen as a way to overcome feelings of numbness or to help control overwhelming unpleasant emotions. Thoughts of suicide and expressing suicidal ideas. These are signs that an urgent assessment of the young person’s mental state is required. Such statements should always be taken seriously, and professional help and assessment sought in a timely fashion. Asking about suicide does NOT put the idea into someone’s head, on the contrary, it often comes as a relief that their distress has been recognised, and that someone cares enough to ask and to offer help. Depressive symptoms are much more common than depressive disorders, however up to 5% of teens may be depressed at any one time. The more symptoms that are present, the more likely it is that they are significant. Some, like suicidal thinking, are always significant and should trigger a prompt response. When young people have other difficulties such as, attentional problems, learning difficulties, behavioural problems and anxiety disorders, then the incidence of depression is much higher. Teens who are under stress or who have suffered a recent bereavement, or other relationship breakdown, are also at greater risk. Many depressed young people have problems in their home lives. Emotional or other forms of abuse contribute to the development of depression. Depression runs in families, whether this is due to genetic or environmental reasons has not yet been fully determined. Living with a depressed parent can hinder the development of normal emotional regulation as young people mature. This also adds to the risk of later depressive disorders. The rate of depression in the population has been gradually increasing over the last hundred years or so, and the disorder is being diagnosed at younger ages than ever before. This has been accompanied by rises both in the levels of self harm and of teen suicide. While cultural and lifestyle changes may have much to offer in reducing the occurrence of depression in the population as a whole, early identification of the symptoms, means that early interventions can be made in the form of effective psychological treatment and possible adjunctive medication. This will mean that young people can learn the psychological skills that will help minimise the burden that depression can impose on their lives, and significantly reduce the relapse rate for depression, which is far too high. Early intervention can not only help to cut the numbers of young people who see suicide as the only answer to their difficulties, but also make an impact on the rising tide of misery that undiagnosed, or poorly treated depression has on the lives of many people, both young and old. is a useful site for further exploring these questions. Categories: Adolescence, Depression, Living happy, prevention, Resilience | Tags: Depression. adolescence, early intervention, mental health, psychology, suicide prevention, teens, warning signs | Permalink. Child and adolescent psychiatrist. Parent. Blogger. A Sense of Agency: Feeling in Control. 7 useful quotes about minimalism.